Level of difficulty: 3+ . Foundation paper piecing Finished size: 65? x 65 easy to enlarge to a bed quilt or to any size you want. 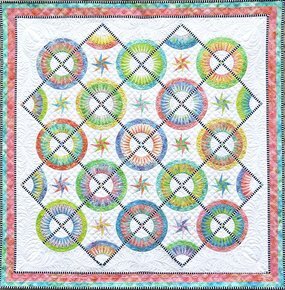 This La Vie Est Belle quilt kit is made in the new Spring Collection fabrics by Jacqueline and Anthology Fabrics.